It is not every day that a high-profile celebrity driving under the influence (DUI violation gets erased. 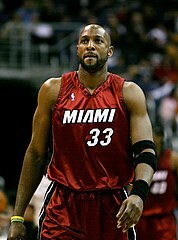 But that is just the case for the wife of National Basketball Association Hall of Famer Alonzo Mourning. The former Georgetown University stat as well as Charlotte Hornet and Miami Heat’s wife has been completely exonerated from a possible DUI violation. The drunken-driving charge against Tracy Wilson-Mourning has been dropped. Police arrested Wilson-Mourning on a DUI charge in February after she was pulled over for speeding. According to the arrest report, an officer said he saw Wilson-Mourning driving her 2010 Porsche Panamera at 48 mph in a 20 mph zone and making an improper right turn at about 3:40 a.m. The report also revealed that Wilson-Mourning ran a flashing red light. Wilson-Mourning refused to take a breath test but failed a roadside sobriety test. Was she guilty? I would like to know what you think, because personally, why would a sober person refuse a Breathalyzer test. Prosecutors busted down the charge to a traffic citation of careless driving. She’ll still have to attend classes about the dangers of drunken driving in addition to completing 50 hours of community service. The mother of three, is the CEO of Honey Child Enterprises, which sells her natural beauty products. She is also the founder of the Honey Shine Mentoring Program. Married since 1997, she and her husband have a North Miami high school named after them. Again, what do you think? Can someone who refuses a breath test be not-guilty? How Badly Does 49ers Star Aldon Smith Need Online DUI Class? The headline above could apply to numerous professional athletes. From the national Football League (NFL) to Major League baseball (MLB) to the National Basketball Association (NBA) to the National Hockey League (NHL), alcohol abuse is a major problem. The latest NFL star to get caught for driving under the influence (DUI) is San Francisco 49ers star defensive end Aldon Smith. As reported in www.thenewstribune.com. Smith will miss Thursday night’s game at St. Louis and perhaps sit out longer. Smith will seek treatment following his arrest on September 14th for suspicion of driving under the influence and marijuana possession. After Sunday’s loss to the Colts, Smith apologized and acknowledged he will get help, but didn’t field questions. Smith started for San Francisco and had five tackles in a 27-7 loss to the Colts, two days after he was arrested and jailed early Friday morning after his truck hit a tree. Smith is a key pass rusher and sacks leader for the 49ers third-year pro, who turns 24 on September 24th. Another NFL player caught being naughty is Denver Bronco’s star pass rusher Von Miller. Miller was caught trying to manipulate the NFL’s drug-testing system, which led to a six-game suspension that could have been longer. These players have such tremendous God-given talent. Their careers are so short and so fragile. I cannot fathom how they cannot surround themselves with people that keep beating home these facts. Can they make their millions and stay sober? While this is not completely a follow-up blog on the driving under the influence (DUI) violation of San Francisco 49ers star defensive end Aldon Smith, it most certainly deals with his issue as well as the role of alcohol, Dui and alcohol classes in the National Football League. As a youngster I always marveled at the talent of Jim Harbaugh on the football field. Perhaps it was because my roommate after college was Harbaugh’s back-up quarterback at the University of Michigan. Or perhaps it is because one of my best friends befriended the football coach during his tenure as head coach at the University of San Diego. Nevertheless, I have been such a fan of Jim’s both on and off the field. This is especially true since he received a DUI. As reported in nfl.si.com. San Francisco 49ers head coach Jim Harbaugh has faced more heat than he would like about the way he’s handled linebacker/end Aldon Smith’s most recent DUI offense. Smith was arrested on Friday morning for driving under the influence. It was Smith’s second DUI in less than two years, and may face a suspension from the NFL. Last November, backup defensive lineman DeMarcus Dobbs was arrested for suspicion of DUI and marijuana possession, and he didn’t travel with the team for a contest against the St. Louis Rams the next Sunday. When Harbaugh interviewed for the Stanford head coach position in April, 2007, he had to explain his own vehicular incident. Harbaugh was San Diego’s head coach at the time (the college, not the Chargers), and in his own words stated, that DUI plea gave him a better sense of how to deal with these things. Hopefully, Harbaugh will encourage his young star to take a level 1 alcohol class and dedicate himself to his craft. I have the utmost confidence in both. What do you think? Don’t get me wrong – the headline above could be stated for every single college in the United States – including Brigham Young. The fact is that binge drinking is a serious problem at campuses nationwide. The University of Wisconsin is known for many things. Among the pillars of Madison’s reputation are high standards of academia, Bucky Badger and — of course — alcohol. As reported in badgerherald.com. Within the last three weeks, drunken antics have sent ten students to detox. A large amount of students have been issued drinking tickets, including all present students of the 7A floor of Sellery Residence Hall. Most of the alcohol-related issues have been linked to a disgusting amount of binge drinking — the blood alcohol content of one student reached .37, a potentially deadly level. While the university has taken steps in recent years to quietly deal with the school’s party reputation, its response to outrageous and rampant alcohol abuse has been sluggish at best. If UW wishes to show its support for student health and well-being, it will need to take a firm stance on an issue that has been swept under the rug for far too long. It is time to mandate that all students take an 8-hour online alcohol class at the beginning of each term. Those arrested or cited for an alcohol-related incident should take a level II 16-hour online alcohol class. What constitutes an extreme driving under the influence (DUI) violation? In some states it is if an accident occurs. In others someone may have been injured. In others it is the level of intoxication – usually double the legal limit of .08. Should the punishment be harsher if there is extreme DUI? As reported in www.trutv.com. Well it’s not the highest blood alcohol concentration (BAC) ever, that “distinction” may go to a Polish man who registered a BAC of 2.23, but that guy was dead from a drunk-driving accident. Elin Peterson was arrested on September 18, 2013, in Marion County Florida, was reportedly alive and had a BAC of .41, more than four times the legal limit. Police found the 33-year-old intoxicated Peterson, with cans of beer in the car and a history of alcoholism. She was asked to perform a series of field-sobriety tests and each time she spoke, the odor of an intoxicating beverage became heavier. Then she blew a .41 and .402. Just to put this into some kind of perspective, according to the BAC calculator at Progressive.com, a 160 pound woman would have to consume between 14 and 15 12-ounce beers in one hour to get a blood alcohol of .41. That’s one hell of a game of quarters. Hopefully Peterson will see this as a wake-up call and seek counseling for her alcoholism. A comprehensive DUI and alcohol class is a place to start, but she must quit drinking ASAP. Michigan State Football Player Needs DUI Education Class Now! If I had $100 bill for every college athlete that consumed alcohol I could retire a millionaire right now! The latest is Michigan State cornerback Ezra Robinson avoided jail time after admitting he drank alcohol then got behind the wheel of a vehicle this summer. The 19-year-old from Sarasota, Fla. Was ordered to an alcohol-safety program class and to attend an impact panel of drunken driving victims. As reported in www.mlive.com. Robinson was arrested after a preliminary breath test indicated he had a blood-alcohol level of .06 percent. Robinson admitted that he drove that evening because a person he was with was intoxicated. The MSU defensive back was charged under the state of Michigan's so-called "zero tolerance law," which restricts the amount of alcohol a driver under the age of 21 may have in his or her system. The legal limit for of-age drivers is .08 percent, but for underage motorists it's .02 percent. The once-acclaimed recruit made his college debut Sept. 7 versus South Florida and has been listed third on the depth chart at cornerback this year. Rated one of the nation's best cornerbacks in high school, Robinson redshirted his first year at MSU in 2012. The 6-foot, 180-pounder impressed in the Spartans' spring scrimmage, intercepting a pass, breaking up another and recording two tackles before suffering a minor knee injury. Hopefully, a good alcohol and DUI class and the decision to stay sober will help his career stay on track. Let’s face it – we all are worried about those who instruct and have influence over our children. We want our teachers, coaches and school administrators to be God-fearing solid citizens. Unfortunately, often times, that is not the case. A vocal proponent for change in an Oregon school district announced this week that he was stepping down from his position after a DUI arrest in Portland. As reported in www.statesmanjournal.com. No surprise here, this was not Eduardo Angulo’s first arrest for driving under the influence. Angulo, who until recently was the executive director of the Salem/Keizer Coalition for Equality, was charged with a felony DUI after a two-vehicle traffic crash in late August left him injured and another driver with severe spinal injuries. So was this his 2nd DUI offense? Not even close! This would make it four times that Angulo has been arrested on DUI charges. Angulo, under the name Carlos Eduardo Angulo, has been arrested three previous times dating back to 1994, in addition to a number of other citations such as speeding, driving without insurance, driving without a license and using his cell phone while driving. Zachary Smith was the driver of the car that Angulo rear-ended Aug. 25 in Portland. He is being treated at Oregon Health & Science University Hospital. As a result of the crash, Smith is paralyzed from the sternum down. What do you think his punishment should be? Is an educational alcohol class enough? I welcome your thoughts. There is no reason to get a driving under the influence (DUI) violation/ As a counselor for alcohol, drug, and DUI classes, I often discuss this notion with my students. Just how well do you know your alcohol-related ABCs? Drunken driving laws contain an alphabetic menagerie of acronyms: DWI, DUI, BAC, OVI, and HGN, just to name a few. Knowing what they mean could help you in avoiding a felony charge. As reported in blogs.findlaw.com. Some of these definitions change based on state laws, but many of them remain constant throughout the nation. DUI. Standing for “Driving Under the Influence," this catchall term describes almost all crimes involving a driver who is operating a vehicle while under the influence of any drug (including alcohol). DWI. "Driving While Intoxicated" is often synonymous with DUI, but in some states DWI is the more serious charge, leaving DUI to criminalize impaired driving when blood alcohol levels are below the legal limit or when the driver is high on drugs. BAC. All states have a "Blood Alcohol Concentration" at which a driver is per se intoxicated. A BAC of 0.08 percent is the legal limit for non-commercial drivers over 21 in all states; in some states, drivers under 21 are held to a zero-tolerance standard. OVI. Like DUI, in Ohio "Operating a Vehicle under the Influence of alcohol or drugs" covers all impaired driving charges. DWAI. In New York and Colorado, "Driving While Ability Impaired" is a lesser charge applied when a driver has a BAC below 0.08 percent but is still intoxicated (in Colorado, for example, it's between 0.05 and 0.08 percent). OWI. Michigan's version of DUI, "Operating While Intoxicated" covers most cases of drunken driving, with the comparatively minor charge of "Operating While Visually Impaired" covering the rest. FST. If you are pulled over on suspicion of drunken driving, an officer may give you a "Field Sobriety Test" which tests intoxication with three physical tests. It is also referred to as the "Standard Field Sobriety Test" or SFST. HGN. One part of a standard FST is testing "Horizontal Gaze Nystagmus." This involves observing twitching or jerking of a driver's eyes while following a slow moving object horizontally. OR. On arraignment for your drunken driving offense, your attorney may ask that you be OR'd, or "released on your Own Recognizance." This means you can go home and await your next hearing or trial without having to pay bail or remain in jail. IID. Depending on your state, a drunken driving conviction may require you to install an “Ignition Interlock Device" which measures a driver's BAC and prevents drunken drivers from starting their cars. It may seem like alphabet soup, but these terms are second nature for prosecutors, and if you drive drunk, they will make a meal out of you. The key here is to not drinking and drive. If you don’t drink and drive you do need not worry about the above-referenced terms. How Badly Does Miami Need Substance Abuse and DUI Classes? In Miami, alcohol-related fatalities and auto accidents have remained the same. Yet arrests for driving under the influence (DUI) have gone down more than 50%. Why do you think that is? Law enforcement officials in the city are blaming the lack of officers to work DUI patrols. There are too many other crimes and perhaps there are fewer intoxicated people on the road. Is this a crock of bull or what? As reported in www.miamiherald.com. The decline in DUI enforcement is troubling to critics who don’t believe fewer people are driving while drunk or high on drugs. And gruesome, high-profile cases are still making headlines — this past week, a Key Biscayne pop musician was sentenced to 12 years in prison for the DUI hit-and-run that killed a cyclist. Earlier this year, a drunken bartender and self-described “party princess” Karlie Tomica plowed into a chef walking across the street. In Miami, officers in 2012 hauled off to jail over 1,000 suspected drunken drivers. In the first half of this year — just 327. Up north in Miami Gardens, where officers nabbed 94 inebriated drivers in 2010, cops in the first half of this year cuffed just 16. In Doral, a police department that focuses heavily on traffic enforcement, the drop has been drastic. In 2010, cops busted 191 drunken drivers. Halfway through this year? Just 34. There needs to be increased vigilance by law enforcement for DUI. It is somewhat disconcerting to think they are neglecting the enforcement of a law that could cause the death of innocent people. Alcohol Classes Not As Needed in Miami, Really? I know you may find this hard to believe, but driving under the influence (DUI) violations are down in Miami, Florida. In Miami Beach, where revelers flock from around the globe to guzzle Grey Goose and sip cosmopolitans — often to excess — police officers nabbed 1,299 suspected intoxicated drivers in 2009. As reported in www.miamiherald.com. By last year, that number had plunged to 492. And if this year’s pace continues, Miami Beach cops will cuff still fewer: They made just 221 driving-under-the-influence arrests in the first half of this year, newly released Miami-Dade court statistics show. It is a startling trend in a city fueled by booze and a thriving night-life industry, one that has supplied Web surfers with an endless parade of bleary-eyed entertainers and pro athletes nailed for driving through South Beach while drunk or high. Has the message finally sunk in that drinking and driving is a deadly combination? Hardly. The number of traffic wrecks in Miami-Dade linked to drinking has remained level. So why the big reduction in arrests? The city’s police union blames a lack of officer training and resources, while the department acknowledges that under a reorganization of patrol zones started in late 2011, officers sometimes must forgo DUI stops to target other crime trends plaguing the city. This is a disturbing trend, but to look at the statistics most clearly – the number alcohol-related fatalities has remained the same. I will address this again in our next onlinealcoholclass.com installment.